Nick Kanas considers issues and countermeasures.. Manned space missions involve a number of psychological and interpersonal stressors. Dealing with these can become a major issue if we are going to venture forth to the planets and beyond. This article reviews what we know about psychosocial issues from on-orbit research and discusses future challenges beyond the Earth’s neighbourhood. Until now, manned space missions have ventured no further than the Moon, and the longest that a person has been in space has been 14 months. Using current propulsion technology, a round trip mission to Mars will take 2½ years, and expeditions to the outer planets will take between 4½ years (for Jupiter) to 26.3 years (Neptune) (Kanas, 2011). If we are able to develop advanced propulsion systems that allow us to travel at 10 to 20 per cent the speed of light, one-way expeditions to the stars would still take decades to centuries to accomplish. This would likely involve putting the crewmembers in suspended animation or using multi-generational crews. Space missions are stressful (Kanas, 2015). Periods of monotony alternate with periods of frenetic activity, the body must adapt to the novel conditions of microgravity, and potential danger in the vacuum of space is always present. People on long, isolated missions beyond the Earth’s neighbourhood will encounter additional psychological and interpersonal stressors, and it is important to develop strategies to cope. But before discussing countermeasures for dealing with such long-duration manned space missions, let’s examine what we currently know from research done close to home. My colleagues and I conducted two international NASA-funded studies of psychological and interpersonal issues affecting crewmembers and mission control personnel during on-orbit missions to the Mir and the International Space Stations (Boyd et al., 2009; Kanas et al., 2000, 2001, 2007). A total of 30 astronauts and cosmonauts and 186 American and Russian mission control personnel were studied, who participated in space missions lasting from four to seven months. We found no significant changes in levels of crewmember mood and group interpersonal climate over time. However, there was significant evidence for the displacement of negative emotions outwardly, with crewmembers perceiving lack of support from mission control. Crew cohesion correlated positively with the supportive role of the mission commander. Using similar methodology, these findings have been replicated in a space station simulation study in Beijing (Wang & Wu, 2015). In our two studies, crewmembers scored higher in terms of experience with other cultures as compared with mission control personnel. Americans reported significantly more work pressure than Russians in both studies, and less tension during International Space Station (ISS) missions. Other investigators also have studied orbiting crewmembers. Gushin and his colleagues found that space crews showed decreases in the scope and content of their communications and a tendency to filter what they said to outside personnel, which the investigators called ‘psychological closing’. Crewmembers also interacted more with some individuals than others in mission control. This was felt to be due to a process of withdrawal and ‘autonomisation’, where isolated crewmembers became more egocentric and perceived some outsiders as opponents (Gushin, 2003; Gushin et al., 1997). Tomi and her colleagues surveyed 75 astronauts and cosmonauts and 106 mission control personnel in order to assess intercultural issues that could lead to problems during space missions. Both subject groups rated coordination conflicts between space organisations involved with the missions as the biggest problem, followed by miscommunications due to simple misunderstandings. Other difficulties related to differences in language and work management styles, and communication problems between mission control personnel and their support teams (Tomi et al., 2007). Others have surveyed cosmonauts in order to gain their perspective on psychological issues during an expedition to Mars. Factors seen as potentially causing problems included isolation and monotony, distance-related communication delays with the Earth, differences in management style among the involved space agencies, and cultural problems resulting from the international makeup of the crew (Nechaev et al., 2007). Sandal and Manzey conducted a survey of 576 employees of the European Space Agency in order to assess important cultural issues that could impact on performance. They found a positive link between experience with other cultures and ability to work with fellow employees (Sandal & Manzey, 2009). Finally, Stuster performed a content analysis of personal journals from 10 ISS astronauts. He found that 88 per cent of the entries dealt with the following content categories: Work, Outside Communications, Adjustment, Group Interaction, Recreation/Leisure, Equipment, Events, Organisation/Management, Sleep, and Food. Despite a 20 per cent increase in interpersonal problems during the second half of the missions (such as conflicts with crewmates), the astronauts reported that their life in space was not as difficult as they had expected prior to launch (Stuster, 2010). Travelling in space also can be a positive experience. Some astronauts and cosmonauts have reported transcendental experiences, religious insights, or a better sense of the unity of mankind as a result of viewing the Earth below and the cosmos beyond (Kanas, 2015). In his diary, cosmonaut Valentin Lebedev stated that photographing the Earth from the Salyut 7 space station was a restful and stress-reducing experience (Lebedev, 1988). Extending pioneering research on positive factors begun in the early 1990s, Suedfeld and his colleagues content analysed the published memoirs of 125 space travellers. As a result of being in space, astronauts and cosmonauts reported more Universalism (i.e. a greater appreciation for other people and nature), Spirituality and Power (Suedfeld et al., 2010). These changes likely reflected seeing the Earth as a beautiful, fragile orb in infinite space, with no obvious political boundaries separating its inhabitants. In a survey of 54 astronauts and cosmonauts who had flown in space, Alan Kelly and I found that our subjects rated the positive excitement related to their mission as being one of the strongest factors enhancing communication within the crew and between the crewmembers and mission control personnel on the ground (Kelly & Kanas, 1992, 1993). In a follow-up study, my colleagues and I surveyed 39 astronauts and cosmonauts who had flown in space. We found that every respondent reported at least some positive change as a result of his or her experience. A cluster analysis of the questionnaire responses found eight subscale categories: Perceptions of Earth, Perceptions of Space, New Possibilities, Appreciation of Life, Personal Strength, Changes in Daily Life, Relating to Others, and Spiritual Change. The only subscale to show a significant change was Perceptions of Earth, and observing our home planet from space sometimes led to lifestyle alterations after the space traveller returned home. For example, three of the subscale items (‘I realized how much I treasure the Earth,’ ‘I learned to appreciate the fragility of the Earth,’ and ‘I gained a stronger appreciation of the Earth’s beauty’) were significantly associated with the behavioural item ‘I increased my involvement in environmental causes’ after returning (Ihle et al., 2006). Although seeing the beautiful Earth and communicating with family and friends on the ground can be positive experiences, there seems little doubt that living with the same people in space for months on end can lead to interpersonal problems that are difficult to express openly, given that one must depend on hese same people for support and assistance in accomplishing mission goals. A supportive commander becomes vital for crew cohesion, and in multinational crews, cultural differences (both national and organisational) can produce stress. Intra-crew tensions may be displaced to people in mission control, which negatively affects crew–ground communication. It is important for crewmembers to learn strategies of coping with psychological problems before they can fester and lead to withdrawal and additional difficulties with their crewmates and with mission control. Given these psychosocial issues affecting crewmembers during on-orbit missions, what can we say about potential problems on space missions beyond the Earth’s neighbourhood? Interplanetary expeditions will include many of the same stressors as missions close to home: microgravity, danger, isolation, confinement, separation from family and friends, and a limited social environment. However, there will be additional stressors that will affect humans travelling to the distant reaches of the solar system. The crew will experience a severe sense of isolation and separation from Earth, with no hope of evacuation or assistance from the ground during emergencies. 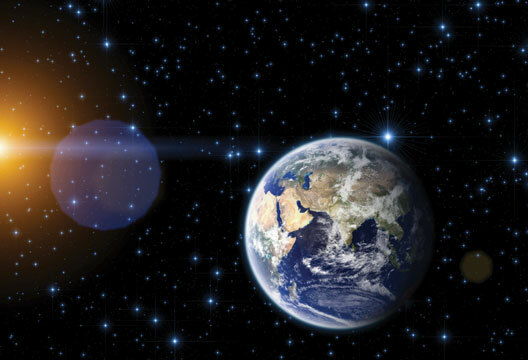 The tremendous distances involved will increase the average two-way communication times with Earth from 25 minutes (Mars) to 500 minutes (Neptune) (Kanas, 2011). Consequently, the crewmembers will be much more autonomous from mission control than during near-Earth missions, and they will need to plan their schedules and deal with problems themselves. Finally, no human being has ever experienced the Earth as an insigniﬁcant dot in the heavens, the so-called ‘Earth-out-of-view phenomenon’ (Kanas, 2015; Kanas & Manzey, 2008). Since gazing at the Earth has been rated as a major positive factor of being in space, the absence of this experience during an expeditionary mission on crewmember psychology may result in increased homesickness, depression, and other unpleasant psychological problems due to the profound sense of truly being isolated in the heavens. In dealing with these issues, it is possible to conceptualise countermeasures around four areas: crew selection, pre-flight orientation and training, in-flight monitoring and support, and post-mission readaptation to Earth (Kanas, 2015). Crew selection should include people who are comfortable in working alone on a task when necessary as well as interacting with their crewmates around social events, such as meals and celebrations. Commanders should be selected who not only are task-oriented, but also psychologically sensitive and supportive of the needs of the crew. Before launch, crewmembers and mission control personnel should receive psychosocial education training aimed at recognising and dealing with important psychological and interpersonal issues that might arise during the mission. Topic areas should include: ways to work and interact productively during isolated and confined conditions; recognising and dealing with intrapsychic and interpersonal problems; understanding cultural differences as manifested by verbal and non-verbal behaviour; and coping with increased autonomy and dependence on local resources. During the mission, the crew should receive computer-based psychosocial education training refresher courses to remind them of key issues discussed prior to launch. Crewmembers need to plan time for ‘bull sessions’ to discuss personal and interpersonal issues and stressors before they fester and become problematic. Strategies should be developed to allow space travellers to communicate efficiently with people on Earth during distance-related time delays. These might include writing e-mail messages that append suggested responses at the end, to which the recipient may reply in order to minimise time-consuming back-and-forth interactions. A virtual reality system or an on-board telescope with which to see the Earth in real time may help the crewmembers deal with feelings around separation from their home planet. Families at home need to be supported during the mission, both informally (peer-led groups) and formally (counselling or psychotherapy). Post-mission readaptation debriefings and supportive strategies should be employed to help returning crewmembers and their families readjust to life together on Earth. These strategies should include protected private time and methods of dealing with the fame and glory that will result from highly visible space missions, such as the first expedition to Mars. During multi-year missions to the fringes of the solar system (such as to the outer planets, the Kuiper Belt, or the Oort Cloud), or beyond to the stars, the long distances involved will make travel using current propulsion systems highly unlikely. New propulsion systems and the possibility of putting the crewmembers in suspended animation will need to be considered. Both strategies present technical problems that are beyond the scope of this article, and the interested reader is referred to the discussion in the scientific appendix to my interstellar science fiction novel The Protos Mandate (Kanas, 2014). Another scenario that has been advocated for interstellar expeditions has been the use of giant self-contained multi-generational starships. Moore has discussed some of the practical issues of such a mission involving a crew of 150–180 people on a 200-year expedition to Alpha Centauri. Based on his computer models, he has suggested several social engineering principles to maintain a stable population that would not tax the limited food, water, and on-board space resources. These strategies include beginning the mission with a crew of childless married couples, who would be required to postpone parenthood until their 30s and would limit the number of children they have to conform to the population needs of the mission. This cycle would be repeated for subsequent generations. The result would be the production of well-deﬁned demographic echelons of roughly equal numbers over time, with people clustering into age groups some 30 years apart. The older members would rear the younger ones and serve as teachers and advisers. People in the middle echelon would perform the routine maintenance activities. As a result, the social network and use of resources would remain stable across generations (Moore, 2003). Such a scenario raises a number of psychological and sociological questions. Who would be selected for such a mission? How many extended family members would be allowed to start the journey? How much cultural and religious diversity could be tolerated? How would a diverse enough gene pool be assured to minimise the appearance of dangerous recessives and maximise the stability of future generations? What kind of governance system would be used? How will the starship populace accept such social engineering? Will later generations view these echelons as a normal part of life, or will they rebel against such a regulated system? The launch generation likely will reminisce about life on Earth, and later generations may want to return to the home planet. Alternatively, they may wish to continue travelling indefinitely in space in their familiar and comfortable starship rather than deal with the unknowns of a new world (Kanas, 2014). As can be seen, travel to distant stars presents a number of psychosocial issues that will test human adaptability and resources. Hopefully, by the time such missions are planned, we will have had enough experience with interplanetary travel to enable starship crews to deal effectively with the new psychological and sociological challenges. Frank M. Robinson’s The Oceans are Wide is a novella published in Science Stories in April 1954 (reprinted in Starships edited by Isaac Asimov et al., Fawcett Crest/Ballantine Books, 1983). In this story, starship governance is through a hereditary board of executives whose chairman is dying and whose son is ill-equipped to take over, due to his more passive personality and the plotting of competitive family members. With the assistance of a Machiavellian-like Predict, the son grows up to become the chairman and ultimately the new Predict, as he outwits his former mentor. The story involves father–son and mentor–student conflicts, within an interesting sociological description of life on a multigenerational starship. Brian Aldiss’ Non-Stop, published in 1958 (available from Overlook Press, 2005), has its protagonist as part of a primordial tribe living in a jungle-like setting. As he and his colleagues are exploring their environment, they encounter other people and discover that they all are inhabiting a giant starship that is returning from a planet around the star Procyon, where 23 generations earlier the ship’s populace had suffered from a pandemic. The story contains numerous surprises about the true mission, and psychoanalytic theory and terminology is used throughout to describe the rituals and interactions of the starship inhabitants. In Gregory Benford’s Redeemer, a short story published in Analog Science Fiction/Science Fact in 1979 (reprinted in Skylife: Space Habitats in Story and Science edited by G. Benford & G. Zebrowski, Harcourt, 2000) a man travelling in a faster-than-light space ship overtakes an interstellar starship launched 75 years earlier that is travelling at sub-light speed. The slower vehicle contains thousands of future colonists in suspended animation, a small maintenance crew that is awake, and a cache of frozen DNA that the man intends to capture to replenish radiation-damaged DNA back home that was affected by a devastating war. The psychological twist is that on the slower starship he encounters his great-grandmother. In Ship of Fools, written by Richard Paul Russo (Ace Books, 2001), a huge multigenerational starship with several thousand inhabitants has a class system of ‘topsiders’, who hold positions of power, and ‘downsiders’, who perform the more menial duties on the ship. There also is a clerical group led by a bishop who wields significant power. The plot involves the relationship of the crewmembers with each other, including their anxieties and intrigues. In Ken MacLeod’s Learning the World (Tor Books, Tom Doherty Associates, 2005), there are two worlds to be learned. One involves the society on board a giant starship with a complicated social system composed of three groups: a young space-borne group of individuals who are bred genetically to colonise newly discovered worlds; the crew, whose members are adapted for permanent life on the ship; and the founder generation, composed of people born hundreds of years earlier at the time of the settlement of the last star system. The other world to be learned is a planet that is the first ever to be discovered with intelligent life. A number of psychological and ethical issues are raised as these two groups discover each other, with surprising changes occurring to both societies. In Ben Bova’s short story A Country for Old Men (published in Going Interstellar by L. Johnson & J. McDevitt, Baen Publishing, 2012) the crewmembers heading for a distant star realise that they are entering an area of low interstellar hydrogen, which is needed to fuel their starship. The chief executive wants to divert around the low hydrogen region, but he is met with resistance from the central computer. Complicating his actions are the facts that he is depressed over the death of his wife and is aware that given his age, he will die before the completion of the decades-long mission. In Stephen Baxter’s short story StarCall (published in Starship Century edited by J. Benford & G. Benford, Microwave Sciences and Lucky Bat Books, 2013), a sentient computer probe named Sannah III has been launched on a long mission to Alpha Centauri. For public relations purposes, several hundred children have been selected to speak with the probe every 10 years. The story follows the communications between Sannah III and a British boy named Paul over six decades. During this time, both human and robot experience numerous developmental changes, some of which take place in a similar manner that reflects complementary changes in their environments. Finally, my own novel The Protos Mandate (which along with my other novel The New Martians was published in 2014 as part of Springer’s ‘Science and Fiction’ series) explores the vicissitudes of a crew undertaking the first interstellar expedition. The story deals with the building and launching of the giant starship, problems facing the multigenerational crewmembers during their 107-year mission, and surprises they face after reaching their destination. A referenced appendix explains the science behind the story. Boyd, J.E., Kanas, N.A., Salnitskiy, V.P. et al. (2009). Cultural differences in crewmembers and mission control personnel during two space station programs. Aviation, Space, and Environmental Medicine, 80, 1–9. Gushin, V.I. (2003). Problems of distant communication of isolated small groups. Human Physiology, 29, 548–555. Gushin, V.I., Zaprisa, N.S., Kolinitchenko, T.B. et al. (1997). Content analysis of the crew communication with external communicants under prolonged isolation. Aviation, Space, and Environmental Medicine, 68, 1093–1098. Ihle, E.C., Ritsher, J.B. & Kanas, N. (2006). Positive psychological outcomes of spaceflight: An empirical study. Aviation, Space, and Environmental Medicine, 77, 93–101. Kanas, N. . Humans in space: The psychological hurdles. Switzerland: Springer. Kanas, N. (2011). From Earth’s orbit to the outer planets and beyond: Psychological issues in space. Acta Astronautica, 68, 576–581. Kanas, N. (2014). The Protos mandate: A scientific novel. Switzerland: Springer. Kanas, N. & Manzey, D. (2008). Space psychology and psychiatry (2nd edn). El Segundo, CA: Microcosm Press; and Dordrecht: Springer. Kanas, N.A., Salnitskiy, V.P., Boyd, J.E. et al. (2007). Crewmember and mission control personnel interactions during International Space Station Missions. Aviation, Space, and Environmental Medicine, 78, 601–607. Kanas, N., Salnitskiy, V., Grund, E.M. et al. (2000). Interpersonal and cultural issues involving crews and ground personnel during Shuttle/Mir space missions. Aviation, Space, and Environmental Medicine, 71(9 Suppl. ), A11–A16. Kanas, N., Salnitskiy, V., Weiss, D.S. et al. (2001). Crewmember and ground personnel interactions over time during Shuttle/Mir space missions. Aviation, Space, and Environmental Medicine, 72, 453–461. Kelly, A.D. & Kanas, N. (1992). Crewmember communication in space. Aviation, Space, and Environmental Medicine, 63, 721–726. Kelly, A.D. & Kanas, N. (1993). Communication between space crews and ground personnel. Aviation, Space, and Environmental Medicine, 64, 779–800. Lebedev, V. (1988). Diary of a cosmonaut. College Station, TX: Phytoresource Research Information Service. Moore, J.H. (2003). Kin-based crews for interstellar multi-generational space travel. In Y. Kondo, F.C. Bruhweiler, J. Moore & C. Sheffield (Eds.) Interstellar travel and multi-generation space ships (pp.80–88). Burlington, Ontario: Apogee Books. Nechaev, A.P., Polyakov, V.V. & Morukov, B.V. (2007). Martian manned mission: What cosmonauts think about this. Acta Astronautica, 60, 351–353. Sandal, G.M. & Manzey, D. (2009). Cross-cultural issues in space operations. Acta Astronautica, 65, 1520–1529. Stuster, J. (2010). Behavioral issues associated with long-duration space expeditions. Houston, TX: NASA/Johnson Space Center. Suedfeld, P., Legkaia, K. & Brcic, J. (2010). Changes in the hierarchy of value references associated with flying in space. Journal of Personality, 78, 1–25.Tomi, L., Kealey, D., Lange, M. et al. (2007, 21 May). Cross-cultural training requirements for long-duration space missions. Paper delivered at the Human Interactions in Space Symposium, Beijing, China. Wang, Y. & Wu, R. . Time effects, displacement, and leadership roles on a lunar space station analogue. Aerospace Medicine and Human Performance, 86, 819-823.